1:00 PM Apr. 16th, 2019 Laura Falco Spring releases continue! 1:00 PM Apr. 9th, 2019 Laura Falco Interview with Carleton jazz guitarist James Anderson on his upcoming record Out Loud! 1:00 PM Mar. 26th, 2019 Basil Park Jamie from Paragon Cause joins me to talk guitars, synths, music promotion and the medical system. 1:00 PM Mar. 12th, 2019 Laura Falco Indie act No Hits joins me with a curated playlist of their fave tracks! 1:00 PM Mar. 5th, 2019 Laura Falco Merganzer, Emma Lamontagne, & more! 1:00 PM Feb. 26th, 2019 Laura Falco Onionface, Wine Lips, & more! 1:00 PM Feb. 19th, 2019 Basil Park Members of Stoby join me in studio to talk about their new EP, Ottawa Venues and Mario Kart. 1:00 PM Feb. 12th, 2019 Laura Falco Megaphono may be over but local music events thrive on! 1:00 PM Feb. 5th, 2019 Laura Falco All things Megaphono! 1:00 PM Jan. 15th, 2019 Laura Falco Talking album release with jazz-funk band Tiny Cars! 1:00 PM Dec. 18th, 2018 Basil Park Scotty P joins me in studio to talk music, recording and living with multiple projects. 1:00 PM Dec. 4th, 2018 Laura Falco Unpaid & Unfazed: a discussion about musical identity, entrepreneurship, and compensation in the live music scene featuring interview w/​ singer-songwriter Edward Sayers! 1:00 PM Nov. 20th, 2018 Basil Park Music from Shirley Goes West, Kelsey Hayes, Malak Sound, Pocket Writer, The Sonic Defense, Lions Leading Sheep, Subtle Curves, and Reglement 17. 1:00 PM Oct. 30th, 2018 Laura Falco All things Funding Drive! 1:00 PM Oct. 9th, 2018 Laura Falco New 613 grooves, Girls To The Front, & more! 1:00 PM Oct. 2nd, 2018 DJ Salty Pretzel, Alex Harea who, what, where, when, why? 1:00 PM Sep. 25th, 2018 Laura Falco Catch up with whats hot in the 613 circuit on this cold, cold day. 1:00 PM Sep. 18th, 2018 Basil Park Joseph Moore joins me in studio to play original music, talk music education in the age of digital learning and promotion, and his insights on the Ottawa music scene as a Toronto native. 1:00 PM Sep. 11th, 2018 Laura Falco Marvest Marvest Marvest! 1:00 PM Aug. 28th, 2018 Laura Falco End of summer jams & hang outs - your last few days of summer to catch a local show! 1:00 PM Aug. 21st, 2018 Laura Falco New You and their Easy Breeze Demos got me feeling like a new me! 1:00 PM Aug. 7th, 2018 Laura Falco Catch The Haig, Boyhood, & Paragon Cause headline this week at all my favourite venues in town! 1:00 PM Jul. 24th, 2018 Laura Falco Go see a show this week! Waterbabies, The Dant Danners, & more. 1:00 PM Jul. 10th, 2018 Laura Falco My Bluesfest picks & summer shows at The Cross, Bar Robo, and Rainbow Bistro! 1:00 PM Jul. 3rd, 2018 DesTrois last minute on the fly! 1:00 PM Jun. 12th, 2018 With hosts Basil Park & Crystalena Alanna Sterling live in the studio to talk about upcoming performances! 1:00 PM Jun. 5th, 2018 Laura Falco We got your weekend plans all figured out - Westfest & more! 1:00 PM May. 29th, 2018 Laura Falco It's summer in the city and oh do we have some live music events for you! 1:00 PM May. 22nd, 2018 Alex Harea Gallery studio or Gallery management? With guest Dean Watson. 1:00 PM May. 8th, 2018 Laura Falco Sinking into summer with our local faves ~ Ottawa's Zachariah, Jad, Meadowlands, Velvet Vanilla, Galapagos & more! 1:00 PM Apr. 24th, 2018 Laura Falco Spring has arrived - here's a dreamy playlist featuring Canadian indie artists on the rise! 1:00 PM Mar. 6th, 2018 Crystalena & Grace Marr Singer- songwriter Grace Marr is in the studio today to talk about upcoming shows and projects! 1:00 PM Feb. 6th, 2018 Crystalena Paquette In the studio with Bella Cat & live performance. 1:00 PM Jan. 30th, 2018 Crystalena P Kelsey Hayes in the studio to talk about her upcoming EP release at Mercury Lounge February 8th! 1:00 PM Jan. 23rd, 2018 Crystalena P Special guest Sean Duhaime comes in the studio for an interview on his upcoming projects! 1:00 PM Jan. 16th, 2018 Crystalena P Local Ottawa musician DRAE in the studio to perform and talk about upcoming projects! 1:00 PM Jan. 9th, 2018 Crystalena Happy 2018! Highlights on upcoming shows and a variety show of all genres. Featuring live shows happening in January. 1:00 PM Jan. 2nd, 2018 Laura Falco Ringing in the new year with some local talent! 1:00 PM Dec. 5th, 2017 Laura Falco Chat with Lavender Child about her dreamy new EP Reflections! 1:00 PM Nov. 28th, 2017 Laura Falco & Hayden McGowan Interview with Toronto musician Edward Sayers! 1:00 PM Nov. 14th, 2017 Laura Falco & Hayden McGowan Canadian indie artists on the rise! 1:00 PM Nov. 7th, 2017 Laura Falco Fun with guest host Hayden McGowan! 1:00 PM Oct. 31st, 2017 Crystalena Paquette Ultra LIVE Halloween Theme Playlist of local artists in Ottawa who make amazing music! Spotlight on the amazing live recordings done by Shot in the Dark sessions. 1:00 PM Oct. 24th, 2017 Matthew and Dave Funding Drive and Funding Drive, did I mention Funding Drive? 1:00 PM Oct. 17th, 2017 Laura Falco Upcoming events with Spencer Scharf, The Tackies, and Moonfruits! 1:00 PM Oct. 10th, 2017 Laura Falco A chat with Hayden McGowan of Ottawa's new indie rock band Velvet Vanilla. 1:00 PM Oct. 3rd, 2017 Laura Falco & Crystalena Paquette Interview with Ottawa rapper King Kimbit! 1:00 PM Sep. 5th, 2017 Crystalena Paquette Adam Ferris from Galapagos is live in the studio! 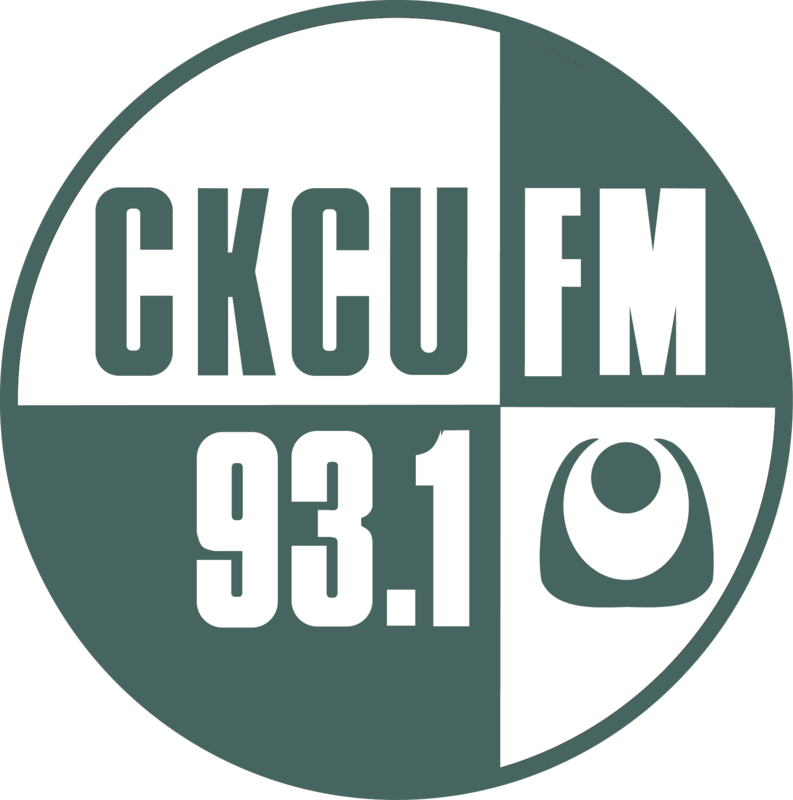 1:00 PM Aug. 29th, 2017 Crystalena Paquette Carleton U. Indie Music special! 1:00 PM Aug. 22nd, 2017 Crystalena Paquette Local artist showcase and upcoming September events in the Ottawa Arts Community! 1:00 PM Aug. 8th, 2017 Crystalena Paquette Local artist's spotlight and upcoming local events in arts and entertainment. 1:00 PM Aug. 1st, 2017 Crystalena Paquette Claude Munson In the Studio! 1:00 PM Jul. 18th, 2017 Crystalena Paquette Alexandra Sullivan Live in the studio to talk about her upcoming album. 1:00 PM Jul. 11th, 2017 Laura Falco & Crystalena Paquette All our Ottawa Favorites! 1:00 PM Jul. 4th, 2017 Laura Falco & Crystalena Paquette RBC Bluesfest 2017 artists! 1:00 PM Jun. 13th, 2017 Laura Falco & Crystalena Paquette Interview with Danielle Allard! 1:00 PM May. 23rd, 2017 Laura Falco & Crystalena Paquette Interview with singer-songwriter Kaleigh Watts on her new album Hung Me Dry! 1:00 PM May. 9th, 2017 Laura Falco & Crystalena Paquette Interview with singer-songwriter Kimberly Sunstrum! 1:00 PM Apr. 25th, 2017 Laura Falco & Crystalena Paquette Happy end of semester! 1:00 PM Apr. 18th, 2017 Crystalena Paquette Garrett Warner's new album Summer Songs! 1:00 PM Apr. 11th, 2017 Laura Falco & Crystalena Paquette Introducing new host Crystalena! 1:00 PM Apr. 4th, 2017 Laura Falco Spring playlist & Bluesfest line-up! 1:00 PM Mar. 21st, 2017 Laura Falco & Andrew Knox Interview with Justin Guindon of Blast From The Sun! 1:00 PM Mar. 14th, 2017 Andrew Knox & Laura Falco Vincent Bishop on his upcoming Grad Recital! 1:00 PM Feb. 28th, 2017 Laura Falco Last show of the month! 1:00 PM Feb. 14th, 2017 Andrew Knox & Laura Falco Valentines Edition! 1:00 PM Jan. 24th, 2017 Laura Falco & Andrew Knox Featuring favourites from the Ottawa area! 1:00 PM Jan. 17th, 2017 Laura Falco Some sweet tunes to brighten up your Tuesday! 1:00 PM Jan. 10th, 2017 Laura Falco & Andrew Knox Showcasing wonderful musical talent from coast to coast. 1:00 PM Dec. 27th, 2016 Andrew Knox & Laura Falco Crystalena and Seven are in the studio today, playing some originals and talking up shows, keep tuned! 1:00 PM Dec. 13th, 2016 Laura Falco Special guest Michel Delage and his many projects! 1:00 PM Nov. 22nd, 2016 Laura Falco Upcoming Ottawa shows that you don't want to miss this weekend! 1:00 PM Nov. 1st, 2016 Laura Falco & Andrew Knox Interview with Terry O'Brien and Bram Al-Najjar of Tribe Royal! 1:00 PM Sep. 13th, 2016 Andrew Knox Interview with Walk Off The Earth's very own Sarah Blackwood! 1:00 PM Apr. 19th, 2016 Zak and Garrett Garrett's First Show! 1:00 PM Dec. 1st, 2015 Vivian, Charles, Lauren and Zak Introducing Our New Hosts! 1:00 PM Nov. 10th, 2015 Charles Bougard & Laura Falco Vincent Bishop's new album! 1:00 PM Nov. 3rd, 2015 Zak Doucette, Laura Falco, Lauren Hicks Funding Drive & local music! 1:00 PM Aug. 18th, 2015 Vivian Lim Ottawa Music for the week! 1:00 PM Jul. 28th, 2015 Vivian Lim Week's events & highlights! 1:00 PM May. 12th, 2015 Deanna Singh SARAH BRADLEY!!! 1:00 PM Dec. 9th, 2014 Deanna Singh Classical Music Highlights. 1:00 PM Sep. 23rd, 2014 Vivian Lim & Deanna Singh Ottawa & Carleton Highlights! 9:30 AM Nov. 20th, 2012 Dave, Vivian, Mike - Segments by Deanna Singh and Jordan Zalis Game Music!! 9:30 AM Oct. 30th, 2012 Dave and Vivian - Segments by Deanna Singh and Jordan Zalis Halloween! !